One way that millions of bloggers have been getting their posts in front of relevant audiences is through Google Authorship. Through the linking of your Google Plus profile to a blog, your content can be attributed directly to your name and will be more likely to be featured prominently in search results. As a result of these recent developments, more and more people have jumped on the bandwagon in order to reap the benefits. Unfortunately, spam and other negative aspects have emerged since this feature has been unveiled, leaving Google with no other option than to alter the way Authorship works. In the following article, we will discuss what Authorship entails and what has changed as of late. Google Authorship is used by many to further associate their site content with relevant search results. By using Google Plus, users can connect their profiles to their websites and blogs in order to ensure that each piece of content is submitted via Authorship. The most relevant Authorship articles for each search will display at or near the top of search results, providing some users with greater access to front-page SEO. While pinging networks automatically with your content seems like a no-brainer, recent changes to how Authorship works have made it less appealing to many. 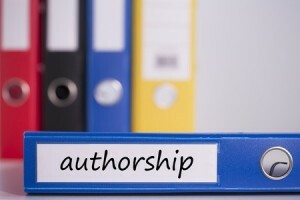 Google has made adjustments to how Authorship functions, mainly due to the increase of usage and an influx of spam in the system. Multiple sources have reported that instances of Authorship results have declined by as much as forty percent, leaving far less in terms of guarantees that your content will be displayed in one search result or another. It seems that Google did not anticipate the level of saturation that Authorship has experienced in recent months, which left it with no other option than to scale back the occurrence of its content in search results. In a press release last month, Google was quick to offer some clarification on the matter. Google recommends that users continue to use the platform as a way to drive their content into more relevant search results and advises that the creation of quality content is the single best way to be featured via Authorship. As pinging networks continues to evolve on a seemingly monthly basis, these types of changes have become all too common and will most likely continue to occur in the future. Even if some of your content does not display in relevant search results, the frequency at which you utilize Authorship does have a direct impact on how likely any one piece of content is to be featured. As Google Authorship emerges from its infancy, plenty of tweaks have been made and will continue to be made in the future. Despite the fact that Authorship visibility has been decreased, users of the service will find plenty of value in its continued use, mostly due to the fact that usage of the service increases the likelihood of being seen. While some may be frustrated at present, this too shall pass and the world of content marketing, creation and SEO will continue.